I happened to drive past a car dealership this past weekend and decided to browse new cars on the lot. Remember the old days of buying a car─how painful it could be to find information beyond the sticker on the window. Invariably, we had to deal with a “pushy” salesperson to answer our questions. With the internet, this experience has changed dramatically by putting the power of information in the hands of the buyer. So I asked myself, why do car dealers still put sticker prices on car windows when we all know that the “Dealer Invoice” is not what the dealer paid and MSRP (Manufacturer’s Suggested Retail Price) is an artificially inflated number? Common sense tells us this sales tactic does not work these days. Right? Hard to believe, but it does work. In fact, experiments show that even a randomly generated price has a direct influence on what we’re willing to pay for an item, even when we know that the price was randomly generated. This phenomenon, called the “anchoring effect” by social physiologists, suggests that we have a common human tendency to use the first available piece of information we get to make a decision. That initial information anchors our brains with a mental shortcut to decision making, like establishing a reasonable price for a specific product or service. A decade ago, Drazen Prelec and Dan Ariely of MIT conducted research to test how influenced we are by an initial anchor price, even if we know that the price is completely disconnected from the value of the item we are buying. In the experiment, Prelec and Ariely auctioned off everyday items─ a bottle of wine, a trackball, and a textbook─ to their students. Before students could bid on an item, however, they were asked to write down the last two digits of their own social security number next to the item, as if it were the price. Amazingly, students with social security numbers from 80 to 99 paid significantly more for items than those with numbers from 00 to 19. For instance, those with high social security numbers, on average, paid $26 for a trackball, while those with low social security numbers paid an average of $9 for the same item. Even when students knew the number was unrelated to value, they could not overcome their subconscious bias. First, let’s be clear: I am not suggesting you artificially inflate your price to manipulate your prospects─not a good practice if you hope to build long-term value with prospects. To seek a higher price, you must bring value. The anchoring effect impacts decisions regarding numerical values like pricing, both value-based and cost-plus since customers tend to decide on amounts skewed toward the anchor value. How you present the anchor value can influence a prospect’s buying decision. In sales situations, one can take advantage of the anchoring effect to set prices for products and services. However, setting a price too high might deter a potential customer from making a purchase. However, when the supplier then advertises the lower sales price (which may be the price intended to sell the product), the original higher price serves as the anchor, making the new sales price seem like a far better deal. 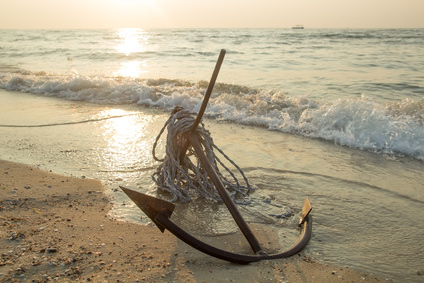 A prospect experience can be an anchor. When a prospect walks into a store, and they are treated with respect and made to feel important, it creates an anchor. All of us have had this experience. We did not buy anything, but we told many people about the positive experience. Ownership is another way to anchor. When you order your Iced Coconutmilk Mocha Macchiato, the barista writes your name on the cup. That public acknowledgment, while a small gesture, holds significant value. 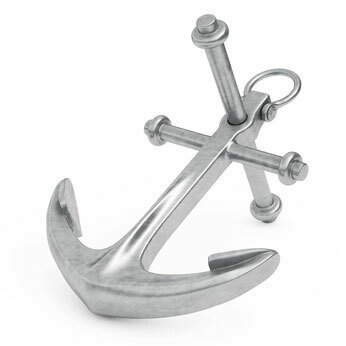 One of my retirement advisory clients uses the ownership anchor to win RFP finalist presentations. They take the time to brand all their materials with company colors, logos and even personalizes nameplates to put in front of meeting attendees. These seemingly small gestures convey a sense of togetherness, which allows the prospect to take comfort in doing business with the firm. You can also use data or insights to anchor a prospect. Companies like to know what others are doing in their industry. Rather than lead your conversations with discovery and diagnostic questioning, lead with an eye-opening insight supported by hard data. An online experiment conducted by Corporate Visions and Dr. Zakary Tormala, a leading psychologist from Stanford University, sought to measure the persuasiveness of three sequences of sales messaging. He wanted to understand if he varied the presence and timing of insights and diagnostic questioning, would it make a difference in participant behavior. He discovered participants were more positively influenced by a sales message when an insight preceded a diagnostic question ─ by a statistically significant margin. Even better, he learned participants were more willing to admit to a greater need and opened up more to possible new solutions when presented an insight first. What’s more, he found that asking diagnostic questions before the insight was no more persuasive than sharing the insight and foregoing questions altogether. These findings do not relieve us of asking probing questions during the sales process. 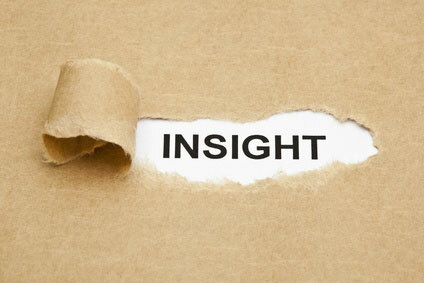 However, they should give us pause to factor in the value of first anchoring with insight. I agree with the researchers: It is time to reconsider the traditional “diagnose-then-prescribe” approach most often taught in sales today. This one subtle shift ─ insight before questions ─ makes logical sense because you offer something of value before putting your prospect on the spot to offer you their thinking. I encourage you to try this tactic and let me know how well it works for you. Will You Meet Your 2015 Sales Numbers?